Wilma M. Schilz, age 97, of Grant, Nebraska, passed away on Monday, November 26, 2018 at the Golden Ours Convalescent Home in Grant. Wilma was born July 18, 1921 in Culbertson, NE to Asa and Lulu (Sommers) Schlegel. She attended country grade school north of Culbertson. Wilma married Leo Edward Schilz in 1940, in McCook, Nebraska. The 2 of them moved to Brule, Nebraska where Leo worked on the McGinley ranch and farm. During her time she cooked for hired hands and did the payroll and book keeping. 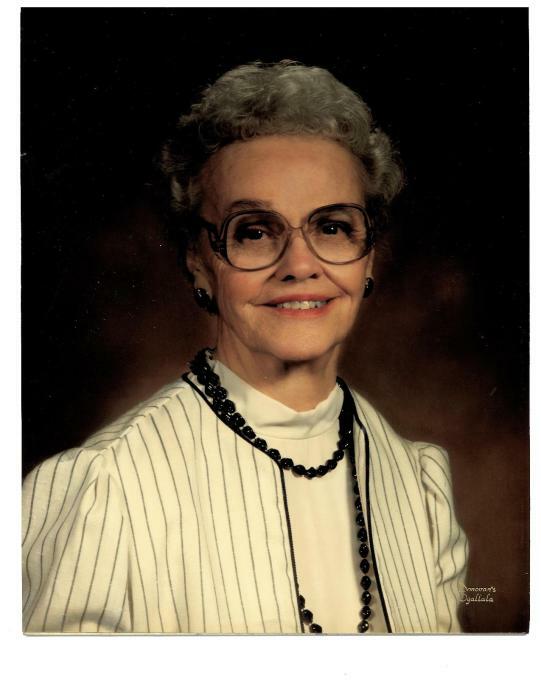 Wilma's hobbies included crocheting, altar society at the St. Luke's Catholic Church, bowling, playing cards and games. Wilma and Leo made a beautiful home for their 5 children. Moving to Ogallala in 1983. 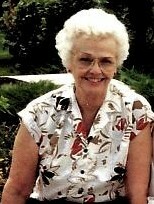 She enjoyed her time relaxing at their lake home and spending time with her grandchildren. Wilma had a large doll collection and enjoyed carrying her dolls in the rest home where she was moved to in 2010. She was preceded in death by her parents, her husband, 1 infant son; Larry James, 1 daughter; Leanna Locke, 3 brothers, 2 sisters, a daughter-in-law; Rexene Schilz, and a son-in-law; Jack Locke. Wilma is survived by 3 sons; Dennis (Susan) Schilz of Lemoyne, William (Margaret) Schilz of Ogallala, Thomas (Lynn) Schilz of Ogallala; 1 daughter, Patricia (Dan) Adams of Gretna, NE; 1 brother, Gene (Ester) Schlegel of Portland, Oregon; a sister-in-law, Lucille Schlegel of Culbertson; 9 granddaughters; Kristine (Ryan) Schilz-Orbus of Brighton, CO, Heather (Chris) Locke-Walker of Aurora, CO, Allison Locke of Denver, Jennifer (Chris) Adams-Porter of Northglenn, CO, Tina Schilz of Lincoln, Robin (Tony) Adams-Covello of Aurora, CO, Amanda (Chance) Adams-Buell of Denver, Caroline Locke of Denver, Claudia Locke of Denver; 6 grandsons; Kenneth (Deb) Schilz of Ogallala, Stephen (Amy) Schilz of Ogallala, William Schilz, Jr., of Lincoln, Daniel Adams of Aurora, Jeremy Shaball of Denver, Leo Schilz of Denver; 27 great-grandchildren, and 5 great-great grandchildren. Visitation will be held in the Draucker Funeral Home from 9:00 a.m. to 6:00 p.m. Wednesday, December 5th. A rosary will be recited Thursday, December 6, 2018 at 10:00 a..m. in St. Luke's Catholic Church in Ogallala. The Mass of Christian Burial will follow at 10:30 a.m., Thursday, December 6, 2018 in St. Luke's Catholic Church officiated by Father Bryan Ernest. A burial will be in the Ogallala Cemetery. A memorial has been established in her memory for St. Luke's Catholic Church and Golden Ours Convalescent Home. The services will be streamed and may be watched by clicking the Watch Live above. Online condolences can be left by signing the Guest Book. Draucker Funeral Home has been entrusted with the arrangements. Golden Ours Convalescent Home Activities Dept.